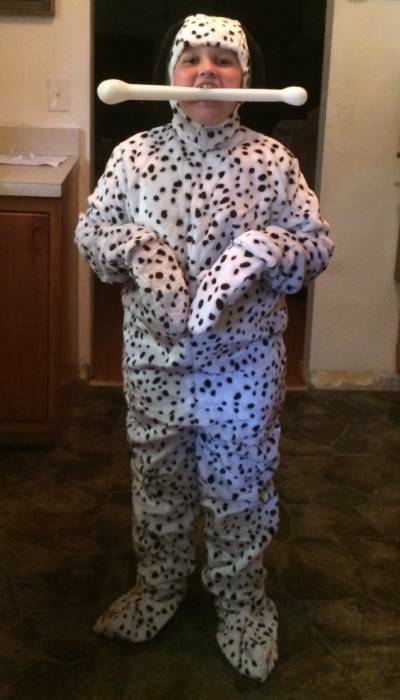 My son really wanted to be a Dalmatian and we had an extremely difficult time finding a costume for him. We decided to order this one online, even though it was expensive. 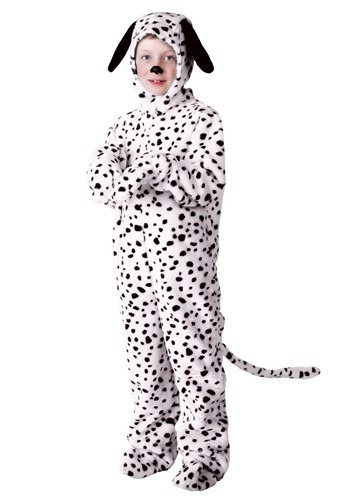 I wouldn’t have been bothered by the price, except the quality when the costume arrived was extremely poor. The costume arrived ripped down the back where the zipper was supposed to be attached. Apparently it wasn’t sewn on properly so there was a gaping hope between the costume and the zipper. The inside of the hat was also extremely itchy and my son refused to wear it. A little lining inside the hat would be great, especially considering the price of the costume. We did appreciate the mitts and boot covers that came with the costume. High quality costume, great fit and comfortable to wear. I bought this for my granddaughter- she was thrilled and so was I ! 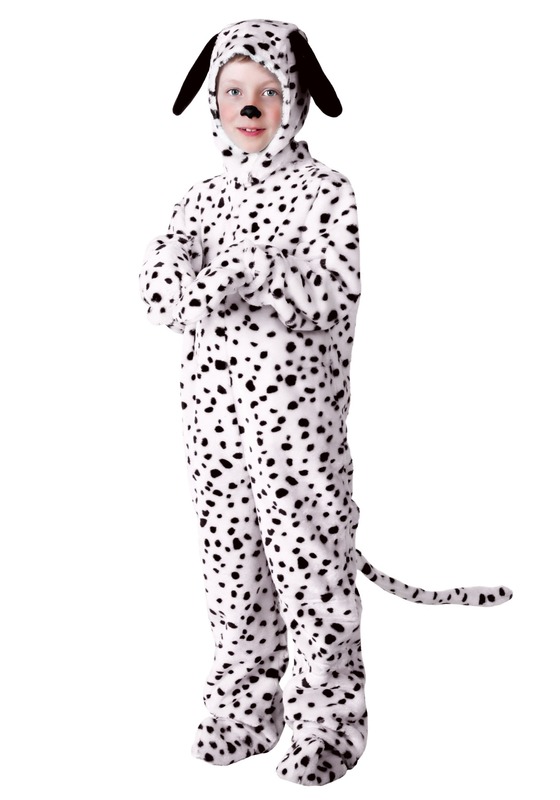 I love the Dalmatian Costume. It will be adorable in our kid's Easter program at church on Palm Sunday. Fit was perfect. Great quality and when I had one question about the costume, the staff person I spoke with was so nice. I'll order from this company again. My 7yr old fit well in the medium size costume. He LOVED it. It was scratchy on the inside but warm and soft outside. It was his dream costume and he absolutely loved it!! Halloween. Fabric is very rough on the inside and the mittens are tiny compared to the rest of the costume. 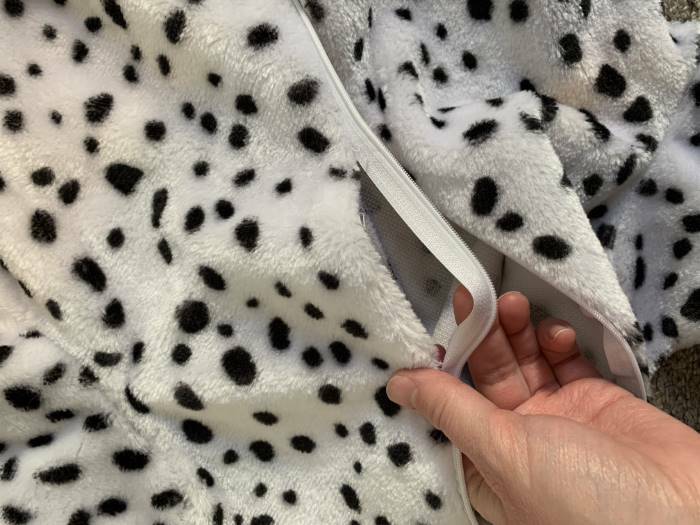 I don’t have time to return it so I will be using parts of the costume and making a body suit that is more comfortable. I bought a 2T and the costume is large but the mittens are newborn size. Great costume for my son. Warm and fuzzy. A little tight around the neck.